How Far is Sri Sai Mourya Tranquil? Mourya Tranquil - an address that is an oasis of calm, peace and magnificence in the hustle-bustle of the city, Bangalore. Your home will now serve as a perfect getaway after a tiring day at work, as Mourya Tranquil ambiance will make you forget that you are in the heart of the city, K R Puram. 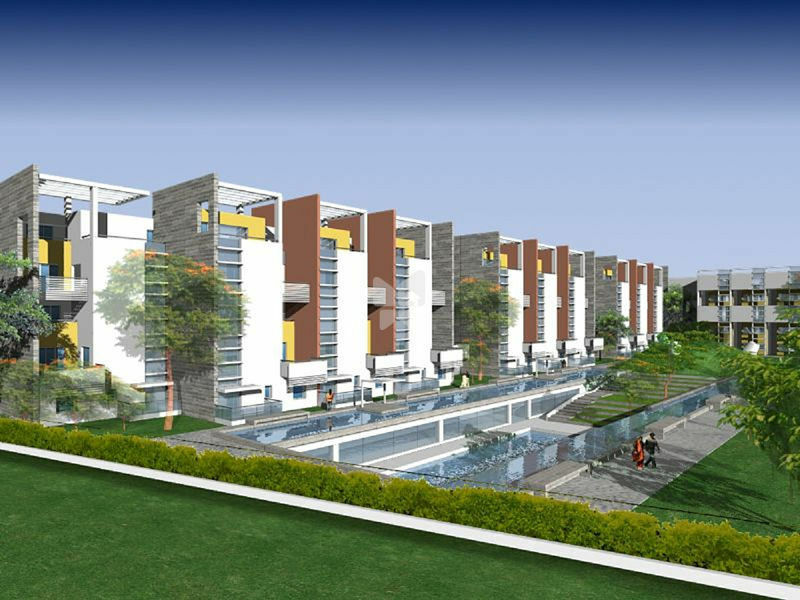 Mourya Tranquil comprises of 2 BHK Apartments in Bangalore. Mourya Tranquil brings a lifestyle that befits Royalty with the batch of magnificent Apartments at K R Puram. These Residential Apartments in Bangalore offers limited edition luxury boutique houses that amazingly escapes the noise of the city center. Mourya Tranquil is built by a renowned name in construction business, Sri Sai Mourya Estates & Projects Pvt Ltd at K R Puram, Bangalore. The floor plan of Mourya Tranquil presents the most exciting and dynamic floor plans designed for a lavish lifestyle. The master plan of Mourya Tranquil offers people a strong connection to their surroundings, promoting a sense of community whilst balancing this with a distinct private address for individual homeowners. All internal walls will be plastered with lime punning. Optional cornices in living and dining rooms. Superior quality vitrified tile flooring in living and dining room. Wooden flooring in master bedroom, ceramic tile flooring in other rooms. Ceramic flooring for all toilets. Ceramic glazed tiles dado up to false ceiling. Matching colored cascade type sanitary ware. Under counter wash basin with mirror in all toilets. Hot/Cold mixer of Jaguar make for shower and wash basin in all toilets. Health faucet will be provided in all toilets. Exhaust fan points in kitchen and toilets. Mail Door of teak panels finished with melamine polish with designer polish as per design. Bedroom door shutters shall be molded doors polished. Toilet doors of FRP coated flush door shutter with enamel paint. Hard ware will be brush steel finish. Living room shall have sliding French doors made of powder coated aluminum. Toilet ventilators will be aluminum powder coated. Granite Kitchen platform with carysil sink with drain board. 2 feet dado above granite kitchen platform area. Ceramic tile flooring in kitchen area including 2' height dado. Loft for storage on one wall. Elegant modular switches of reputed make. For safety one ELCB for each room provided @the main distribution box. Telephone points in all rooms. A/C power socket in Master bedroom and living dining. Automatic passenger lift of OTIS/Schindler/Kone/Johnson or equivalent make. One service lift in the building. Lift lobbies with granite cladding on lift wall.